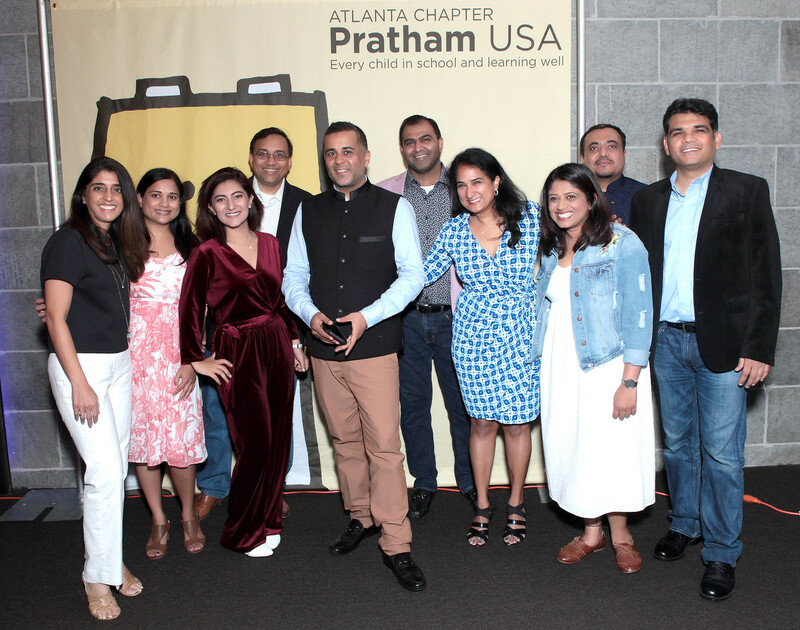 Chetan Bhagat with the Pratham Atlanta team. Photos by Vinod Devlia, Photography by Vinod. Atlanta, GA, July 9, 2018: “I am not the best author, I am a bestselling author. 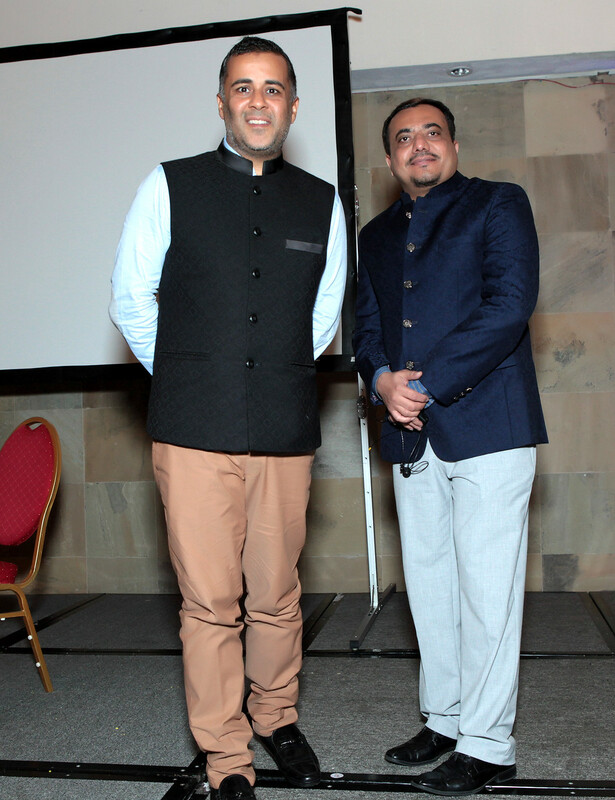 How did that happen?” Chetan Bhagat’s presentation at Pratham USA, Atlanta Chapter’s meet at Tadka Restaurant on June 30 was an often witty reflection and analysis of his own incredible journey as writer, newspaper columnist and motivational speaker. “In the English language novel space, there is a B.C and A.C era, the Before and After Chetan Bhagat era,” said Apurva Ghelani of Pratham Atlanta in his introduction of Bhagat, whose novels have sold over seven million copies. 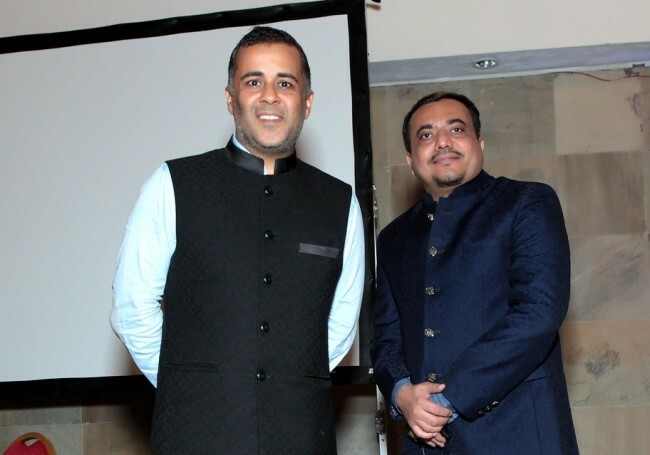 “I describe myself as an Authorpreneuer,” said Bhagat, on his stupendous success story, from IIT to books to Bollywood. “My goal is change. I want to reach maximum Indians via entertainment and influence them towards a progressive society,” he said, adding that his strategy was to be a winner who changes the game. Referring to Darwin’s quote “It is not the strongest or the most intelligent but the most adaptive that survives,” Bhagat went to on to describe the various ways he adapted to change that eventually led him to his many accomplishments. “I was writing at a time when the common man had started picking up English words. So, I wrote in a language that would appeal to them. And then I started appearing on TV shows, news channels and every place a common man had access to,” he said. The idea was to be a recognizable figure, someone the common man knew about, not necessarily as an author. And it worked, according to Bhagat. The common man who watched him on TV shows was keen to buy/read a book by someone they “knew”. The simple language and narrative relevant to current issues and circumstances favored Bhagat’s works. “I want to stay alive, be busy improving myself,” said Bhagat. His interest in political and social issues, he said, stems from the idea of being in an “alive state of living”. “There are three states of living – Exist, Fading, and Alive” said Bhagat. Using the analogy of sedimentation, the ‘exist’ state he said, is a state where you react to life and are neither happy or unhappy, just settled. Fading is being discontent and unhappy. And being in an ‘alive’ state he said, is when you look forward to life, feel the spark and be content yet ambitious. Laced with humor with references to an ever-doubtful Tamil-Brahmin mother-in-law who is always wondering if her daughter could’ve done better, Bhagat kept the audience engaged to his philosophy of success. Answering a question from the audience, Bhagat noted the lack of good role models for the Indian youth. “I would love for girls to aspire to be a pilot, a physician, or a writer rather than models on book covers who focus completely on external appearances,” he said. In his address, Bhagat also gave a thumbs up to Pratham for its work in providing education to under privileged children across India. “I love the tagline of Pratham – Every child in school and learning well,” he said, accentuating the importance of education to him, personally. “Education without quality is a waste of time,” he added. Pratham works in collaboration with governments, communities, parents, teachers, and volunteers, with focus on innovative interventions to address gaps in the education system. PrathamUSAis a volunteer-driven organization with 15 chapters across the United States that raise awareness and mobilize financial resources for our work on the ground. Pratham’s methods have spread beyond India through ASER (Annual Status of Education Report), which has inspired parallel citizen-led assessments of children’s learning in fourteen countries. The Atlanta chapter of Pratham was launched on January 20, 2018 under the leadership of Ketan Shah.